We're not your average real estate team ... it's all about CUSTOMER REALTIONSHIPS in our office. Rather than boring old bio's (self-flattering drivel), our team decided it would be more interesting to get to know us if we answered 10 questions each ... some serious, some fun! How did you get involved in real estate at the Lake of the Ozarks? Walked into Veach Realty to get advice on the job market and never left. Great learning environment and supportive people. My "family" consists of a few very special people. My work family (Susan & Michelle) the sisters I never had and partners in crime. I have two grown sons and am shocked we all survived the teen years. Most important my 5 year old granddaughter Kenzie. She holds my heart in the palm of her hand. I had no idea that my capacity to love was so so so DEEP. If I had free time I would love to travel. As a consolation I love to read. That is my escape. I would learn to do many things. Cook with great chefs, take lessons to play as many instruments as possible, and keep doing what I love because I love it! How long have you lived in the Lake Area? I can't think of a thing. If you ask me a question, I just answer it. The constant educational opportunities my industry provides and sharing that knowledge with my community. If you could only eat one food for a month, what would you choose and why? If you could go back in time and meet any historical figure, who would you meet and why? Thomas Jefferson because he was a believer in Liberty for All. "The God who gave us life, gave us liberty at the same time." 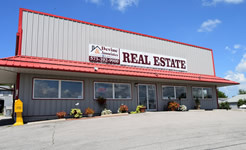 My husband and I were looking for a house here in Eldon and met Vicki with Devine & Associates Real Estate. Vicki met the challenge and showed us around. We found our sweet home through her because of her extensive knowledge of the area. She worked so hard to help us achieve this dream and we highly recommend her to anyone who is looking for a home. I might add that her associate Susan kept assuring us that it would all come together and it did indeed. Thank You so much for all the hard work you did for us. Vicki took the time to understand our needs, wants and constraints. She provided properties that met all our considerations. Once we selected our property, she worked professionally through the contract process consistently advocating for us. Communication throughout the process was exceptional. For anyone looking to purchase a home or property, my wife and I wholeheartedly recommend Devine & Associate Real Estate. You won’t be disappointed. 15 years ago I started buying property, upgrading it, then having an agent sell it. I said, I can do that! Besides Devine & Associates, I have 2 daughters and 5 grandchildren. All outdoor activites. 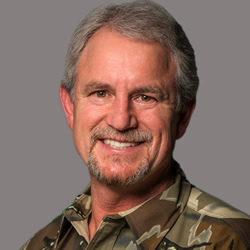 I am a big advocate to connect kids with the outdoors. If money where no object, what would you do? I would start a school/home for troubled kids and introduce them to the great outdoors. Can't say ... they just have to get to know me to figure that one out. The reward of the American dream of owning your home or property. Anything organic - our foods today are loaded with salt, antibiotics, steroids, etc. Thomas Jefferson - he was one of the greatest forefathers this country ever had. I would like to “Thank You” for going above and beyond to get my house SOLD! I know it was a challenge, but you did whatever it took to make it happen. It meant so much to me when you took your time to do everything extra that you did. Keep in touch and I wish you a Very Prosperous 2016!!! I have bought and sold properties for years and have never had a REALTOR® work better for me. Chuck Yow viewed our listing with true interest noting every detail. 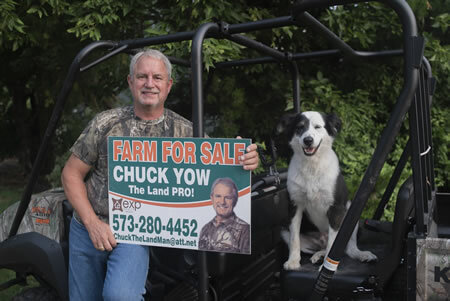 When listed he advertised the property and work very well with other REALTORS® showing the property but when it got right down to it, it was Chuck’s showings that really counted with multiple offers, and after a few short months he found us a buyer that we worked with on the price. During the selling process Chuck work very diligently with information to complete a problem free closing. 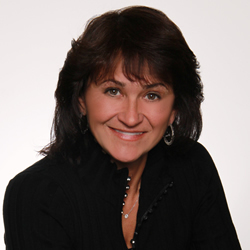 I would highly recommend Chuck Yow at Devine & Associates Real Estate to be your REALTOR®.